The green and white army of Northern Ireland football was never a big priority for RTÉ, who always followed the fortunes of the green shirts of the Republic of Ireland. Occasionally there were stories of success, especially the World Cup victory over hosts Spain in 1982 and qualification for the second round. I also remember covering the appointment as NI manager of Lawrie Sanchez, a past hero of mine when he was with Wimbledon FC and who I was glad to see getting the job. There was however always one constant factor when speaking about soccer here in the North: Malcolm Brodie, who has now passed to his eternal reward. The former sports editor of the Belfast Telegraph was a fount of knowledge about the international side and reported on fourteen World Cup finals. He was always willing to share that wisdom with other media colleagues, including news reporters who did not specialise in sport. He also looked after junior colleagues. I was interested to hear on Talkback (BBC Radio Ulster around 20:30) yesterday a tribute from Alan Green of the BBC. Alan is the same age as myself and our paths crossed briefly in London in the 1970s. 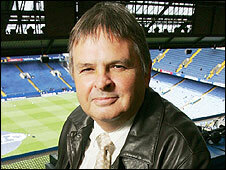 After graduating from Queen’s, he started as a BBC News Trainee in April 1975, a year after I had. My traineeeship brought me to local radio Birmingham, where I got my chance to combine sports reporting with news, thanks to Jim Rosenthal and his successor Nick Owen. Alan got an attachment back to BH in Belfast and later moved to Manchester, to begin a lengthy career as a commentator with BBC Radio Sport. Alan mentioned to Wendy Austin how Malcolm had taken him under his wing when he was still a student at Methodist College, interested in sports reporting. He took him on as a “copy boy” at weekends over forty years ago. When Alan landed the sports job in Manchester, Malcolm asked the sports “mafia” there, who held him in high regard, to help the fledgling commentator. Malcolm was from Scotland and had been evacuated to County Armagh during the second world war. He began his career with a local newspaper in Portadown. 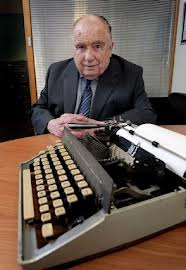 He then moved in 1943 to the Belfast Telegraph, where he set up the first sports desk. His achievements as a journalist were recognised with the award of an MBE and the conferring of an honorary doctorate by the University of Ulster. 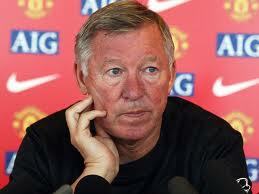 He received the FIFA Jules Rimet award in 2004. The FIFA President Sepp Blatter, who was a personal friend, described him as “one of the true greats of sports journalism”. More tributes can be found here at the Irish Football Association. He was 86 and was a member of the Belfast and District Branch of the National Union of Journalists. However there are some former staff at the Belfast Telegraph who will tell you a very different story about his attitude to the union during a strike. His funeral service will take place on Monday (February 4th) at 12 noon in Cregagh Presbyterian Church, Belfast, then to Roselawn Crematorium for Committal at 2.30 p.m. Family flowers only. Donations in lieu of flowers have been requested to Chest/Heart/Stroke or Guide Dogs for the Blind. There has been widespread public revulsion at the killing of Detective Garda Adrian Donohue in County Louth. His state funeral is taking place in Dundalk. His remains were removed from his home at 11.30am to St Joseph’s Redemptorist Church in Dundalk arriving at 1.00pm. The main celebrant will be Fr Michael Cusack, who was with Caroline Donohue and her family until late last night, preparing for the funeral. Following requiem Mass, the cortege will proceed to Lordship Cemetery for burial. It was at Lordship credit union that Garda Donohue was shot dead during a raid by an armed gang on Friday night. The Irish League of Credit Unions has offered a reward of €50,000 for any information leading to arrests and prosecutions in the case. In the Dáil, the Taoiseach led tributes to the 41 year-old detective, a married man with two young children. The Sinn Féin leader Gerry Adams said Garda Donohoe had died in the defence of other citizens. He said the death provoked memories of the killing of Jerry McCabe by the IRA in June 1996. He went on to apologise to Mrs McCabe, the McCabe family and to Garda Ben O’Sullivan, who survived the shooting. 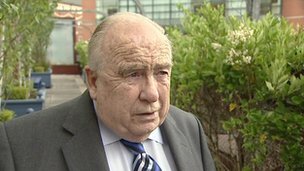 The Louth TD also apologised to other members of what he called “state forces” who were killed by republicans in the course of the Northern Ireland conflict. Books of condolences have been opened at many centres including Dundalk Garda station where Garda Donohue was based and the Mansion House in Dublin. 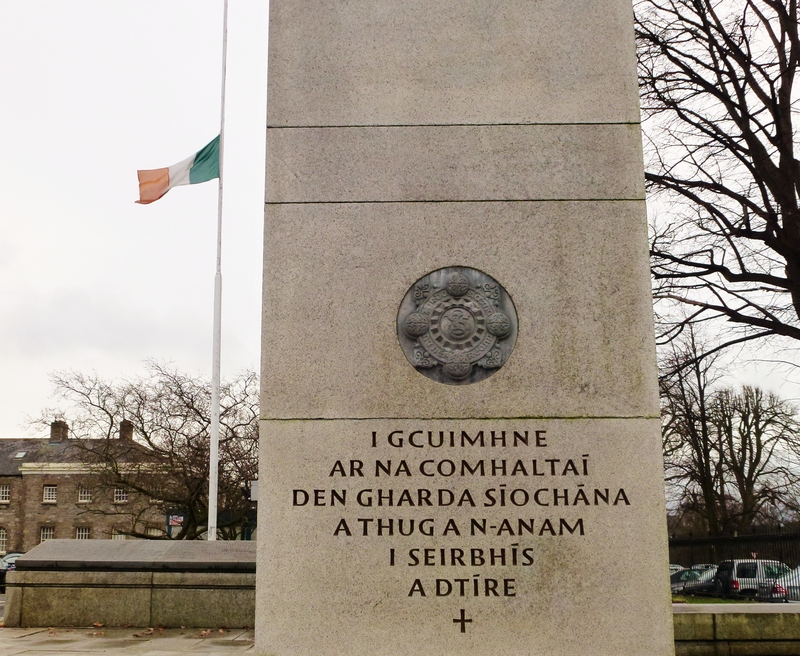 The tricolour has been flown at half mast at Garda stations since the shooting. But it will only be lowered today on government buildings and at Aras an Uachtaraín. On Saturday, passing by the Aras, I was surprised the flag had not been lowered as a mark of respect and again when I was there yesterday it flew at its normal position. I was informed that the Department of the Taoiseach decides the protocol. Yet when Garda McCabe was shot dead, the tricolour (or so we are told) did fly at half mast soon after the killing. Today the nation is in mourning for a dedicated servant of the people. Ar dheis Dé go raibh a anam. The reformation of The Boomtown Rats gives me a chance to boast about my first broadcasting scoop. It was 1977 and no-one had ever heard of this pop group with the strange-sounding name. I interviewed the band (except Bob Geldof) for radio and ensured their first ever broadcast on the BBC. At that stage their single “Looking after No 1” had just appeared on a New Wave LP (first track on the “B” side) along with songs from The Ramones (“Judy is a Punk”; “Suzy is a Headbanger”) and various others of the punk rock variety. John Peel gave it an outing. I was able to go one better, thanks to my sister in Dublin who knew this up and coming band from the Dún Laoghaire area. The group had completed an Irish tour in 1975 and the following year moved to London. I was working at Pebble Mill as a News Producer (reporter/presenter/producer) with BBC Radio Birmingham at the time. Being a local radio station, it meant that I could contribute to the sports programmes at the weekend. Nuneaton v Wimbledon was my first sports report. But I was also able to do interviews for various music programmes including Norman Wheatley’s “Gentlefolk”. I got to meet The Dubliners, The Chieftains, Frank Patterson and Eily O’Grady and Horslips when they came to the heart of England. Malcolm Jay presented a Tuesday night rock show, “Heavy Pressure”. When I mentioned that this new rock band from Ireland who had appeared a month earlier at Birmingham town hall with Tom Petty and the Heartbreakers was coming to Wolverhampton and I might be able to get an interview with them, he sounded interested. So on July 20th 1977 my sister came over from Dublin and we drove to the La Fayette night club near the centre of Wolverhampton. We arrived early and there was no sign of anyone. 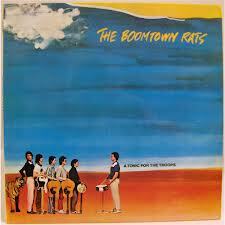 Eventually a van arrived with five of the Boomtown Rats and their gear. Lead singer Bob Geldof travelled separately. So while the band waited in an empty club, I sat down with the group, having been introduced to them by Carolyn. I had brought my UHER reel-to-reel tape recorder that we used for interviews. I spoke to each in turn, including the man with the funny name. Pete Briquette. Bob Geldof eventually turned up and said hello. The group performed that night to a crowd of less than 100. A few days later the interview (which I still have a copy of) was broadcast, along with Looking after no.1 and another track as well (possibly Mary of the fourth form). I am glad I spotted the potential of the band at an early stage and followed their progress over the years. Then this morning courtesy of the John Murray show on RTÉ Radio 1 I listened to Pete Briquette explain the plans by the band (or at least himself, Geldof, Simon Crowe and Garry Roberts) to get back together again in time for the Isle of Wight festival from 13th-16th June at Seaclose Park. 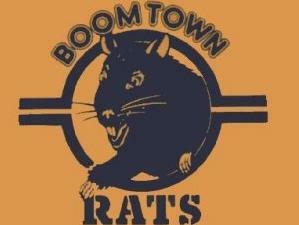 The Rats will join a line-up also featuring The Killers and Bon Jovi, who have already been announced as headliners for the first major festival of the summer. The BBC reports that Bob Geldof said: “I’ve always fancied playing the Isle of Wight Festival ever since I hitched there in the good/bad days when I was a kid.” The band have been playing live in recent years without Geldof. 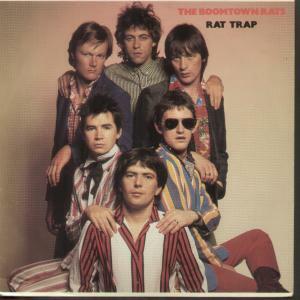 The Boomtown Rats were the first Irish band to have a UK number one hit with Rat Trap. They followed that up with another number one with I Don’t Like Mondays, which was a hit around the world. They recorded six albums, three of which made the UK top 10, before splitting up in 1986. The band’s last major live performance was at the 1985 Live Aid concert at Wembley, organised by Sir Bob Geldof. Having signed a petition by Protestant churchmen that was critical of Nazi policies, he was put on trial for activities against the state. During the second world war, he was interned in the concentration camps of Dachau near Munich and Sachsenhausen. 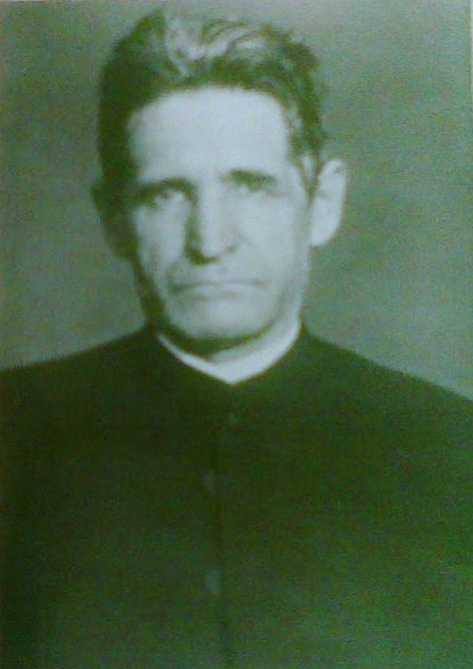 Another clergyman to have been imprisoned at Sachsenhausen was a Catholic priest, Blessed Rupert Mayer SJ, known as the Apostle of Munich. A member of the Jesuit order, he was a powerful preacher, who spoke out against the evils of Hitler and Nazism. He too served in the first world war as a military chaplain. He is buried at St Michael’s church in Munich. He was arrested by the Gestapo in November 1939 shortly after the outbreak of the second world war and was deported to Sachsenhausen concentration camp, where he remained for several months. He was then sent to the monastery at Ettal near Garmisch in Bavaria and placed under house arrest. Released in May 1945 he returned to Munich but died in November that year while saying Mass. He was beatified by Pope John Paul II in 1987. 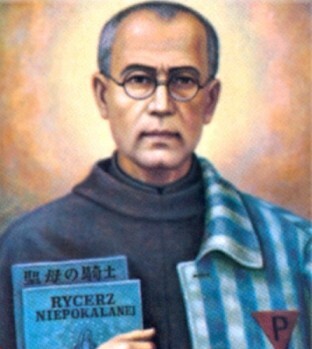 Another story of courage by a Catholic priest in a concentration camp is that of Saint Maximilian Kolbe OFM, a Franiscan. 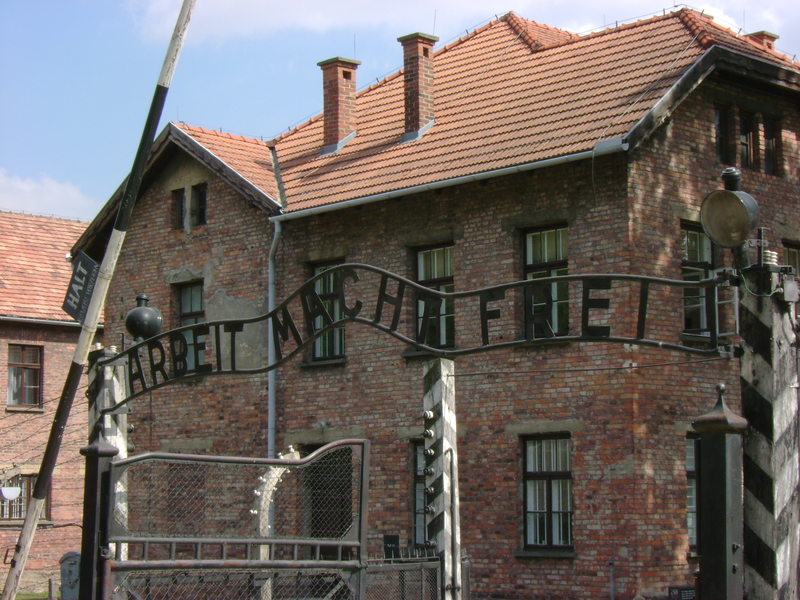 He was arrested by the Gestapo at a friary near Warsaw in 1941 and taken to Auschwitz. He celebrated Mass each day in his prison cell, which I saw five years ago when I visited the former camp. 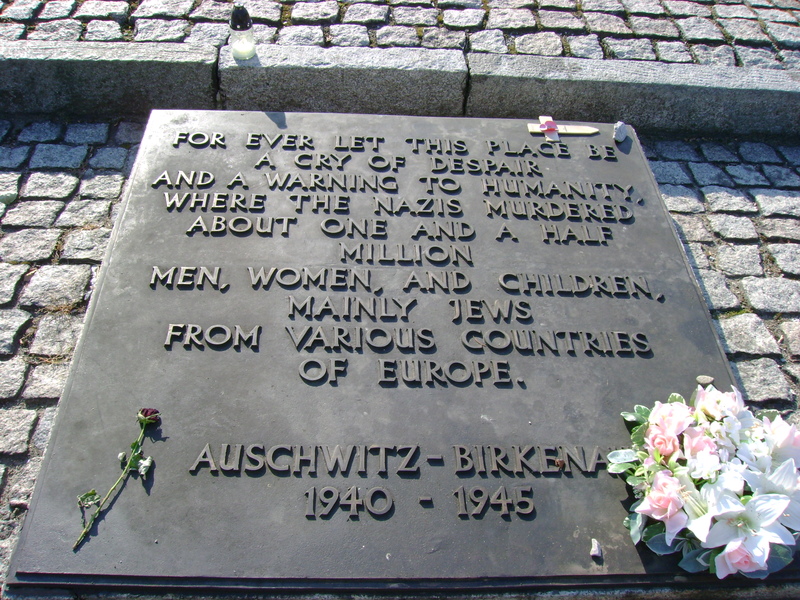 A memorial there says up to 1.5 million men, women and children mainly Jews were murdered there by the Nazis. Fr Kolbe offered himself in place of a married man when the deputy commander of the camp ordered ten men to be starved to death, following the escape of three prisoners. A remarkable story of self-sacrifice which was recognised by the Catholic church when he was canonised by Pope John Paul II in 1982. This evening at 7:30pm in the Queen’s Hall at Newtownards, the annual Holocaust Memorial Day Commemoration in Northern Ireland will take place, organised by the Office of the First Minister and deputy First Minister for the past eleven years. 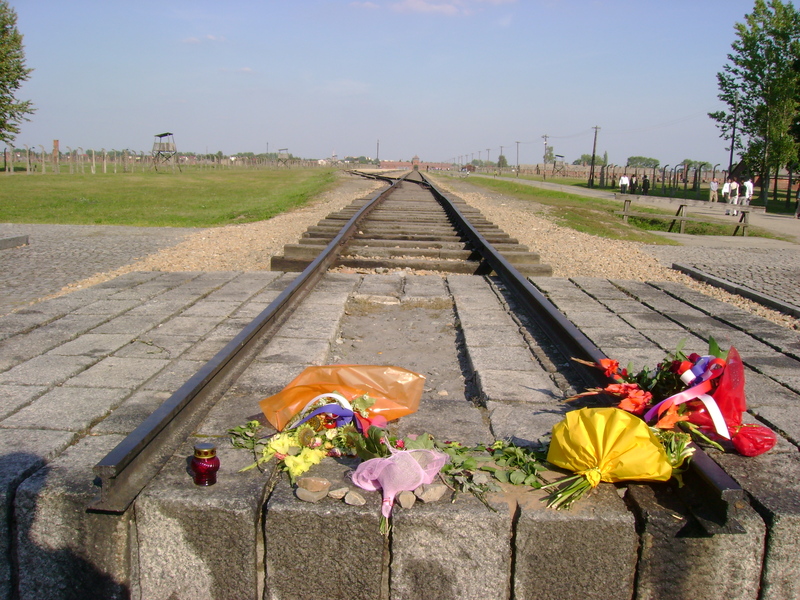 It honours those communities destroyed in the Holocaust under Nazi Persecution. But the commemoration has also been extended to remember modern day victims of genocides in Cambodia, Rwanda, Bosnia and Darfur, as well as the atrocities in Armenia. 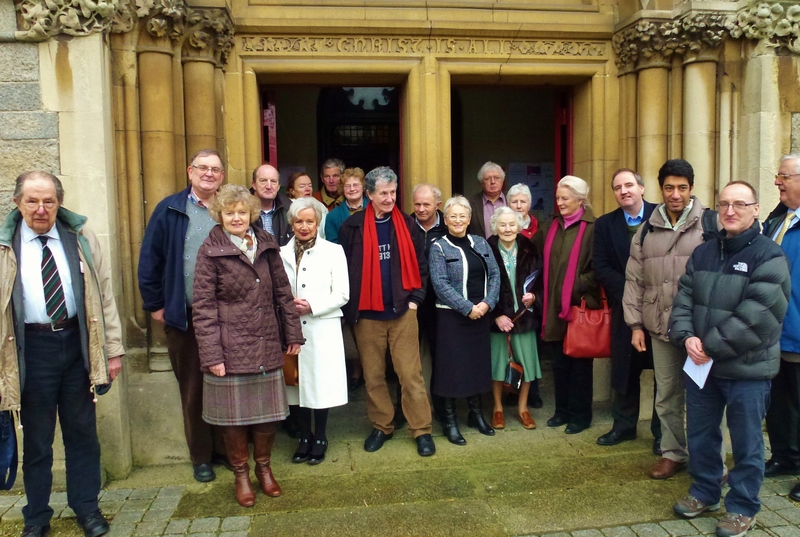 The William Carleton Society based in the Clogher Valley and Monaghan came to Dublin to mark the 144th anniversary of the death of the famous 19thC Irish author from County Tyrone. 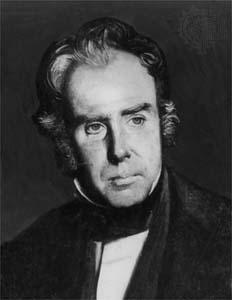 Carleton grew up as a Catholic, but would later convert to Protestantism in the Anglican church. He was the youngest of fourteen children born to a small farmer in Clogher. Dr Frank Brennan a member of the Executive Committee met us at Castleknock and gave our coach party a guided trip through the city centre, starting with the Phoenix Park with its numerous historical monuments and associations going back hundreds of years. We passed Aras an Uachtaráin, the Polo Grounds, Phoenix Cricket Club, the oldest cricket club in Ireland and Dublin Zoo, also taking in the Wellington monument. We then travelled along Dublin’s quays, with views of Collins Barracks which I have fond memories of, now part of the National Museum of Ireland. On the other side of the Liffey we saw Heuston station and the HSE Headquarters at what was Dr Steevens’ Hospital, with St Patrick’s Hospital and beside it Guinness’ brewery. We saw the Four Courts and crossed Grattan bridge travelling towards City Hall and what was once the headquarters of the British administration In Ireland, Dublin Castle, now in use for the state’s Presidency of the European Union. On then to the two cathedrals, Christ Church where there was a festival on in the grounds and St Patrick’s Cathedral where the Reverend Precentor Noel Regan from St Macartan’s Cathedral in Clogher provided some useful background about the two buildings. We moved on through the former Jewish area and into Ranelagh which developed as a genteel middle class suburb after the Act of Union. At Sandford Church we were addressed by a local teacher, who is a member of the congregation, on the history of Sandford church and its connection with Carleton. 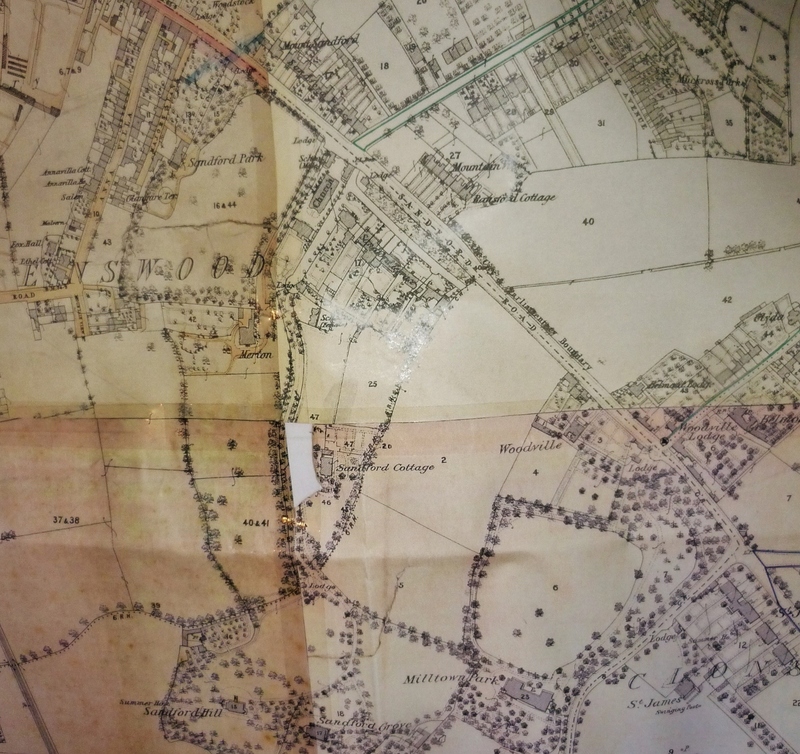 Susan Roundtree, an architectural historian, also spoke about the development of 19thC Ranelagh and brught along an old map of the area from 1870, which showed Woodville, a row of houses along the Sandford Road close to the entrance to Milltown Park, where Carleton had spent his final years. 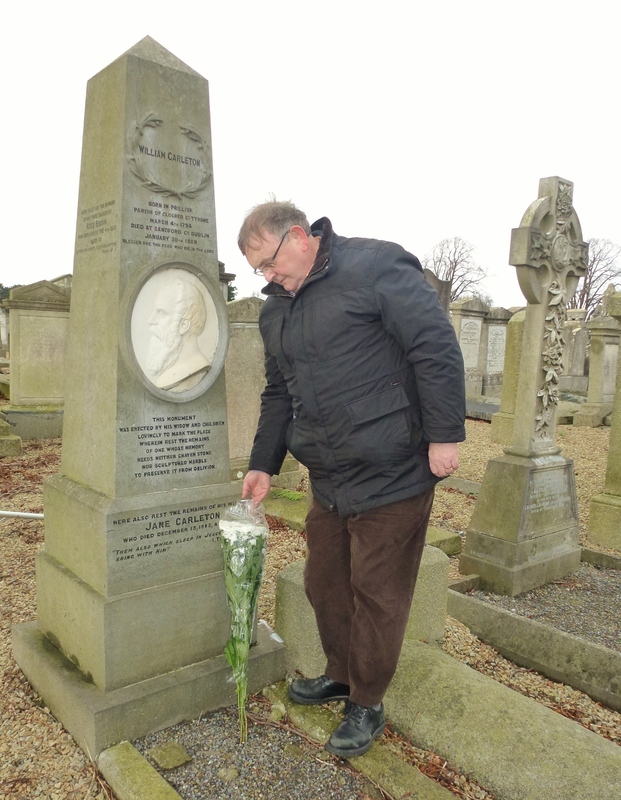 We then went to Mount Jerome cemetery for a short ceremony to commemorate the 144th anniversary of William Carleton’s death, followed by a short tour of the graveyard. We travelled to lunch at O’Briens at Sussex Place, Upper Leeson Street, one of Patrick Kavanagh’s haunts, which as a 1900’s grocery and bar reminded him of Carrickmacross. The journey to lunch took us through two Georgian squares (Fitzwilliam and Merrion) and past Leinster House and Government Buildings. Finally after lunch Frank Brennan brought us into Donnybrook and Ballsbridge, passing the British Embassy, AIB and the Aviva Stadium otherwise known as Lansdowne Road. We passed the Grand Canal Theatre, National Convention Centre, and saw some relics of the Celtic Tiger on our route home. Thanks to all who came and I hope you enjoyed the day. The William Carleton Society is a partner in the Shared History, Shared Future project run by Dungannon and South Tyrone Borough Council through the EU funded South West Peace III Partnership Programme and this activity is being delivered through it. I am in Dublin today with a group from the William Carleton Society based in the Clogher Valley and Monaghan to mark the 144th anniversary of the death of the famous 19thC Irish author from County Tyrone. Carleton grew up as a Catholic, but would later convert to Protestantism in the Anglican church. He was the youngest of fourteen children born to a small farmer in Clogher. He came to Dublin in 1819 with 2s 9d in his pocket and after trying various occupations, became a clerk in the Church of Ireland Sunday School Office. Our coach party departs from Enniskillen at 7:30am and is picking up passengers at Maguiresbridge, Clogher, Aughnacloy and Monaghan (at the entrance to St Macartan’s College. 8:15am) for the trip to Dublin. Dr Frank Brennan a member of the Executive Committee will be our guide on reaching Castleknock. 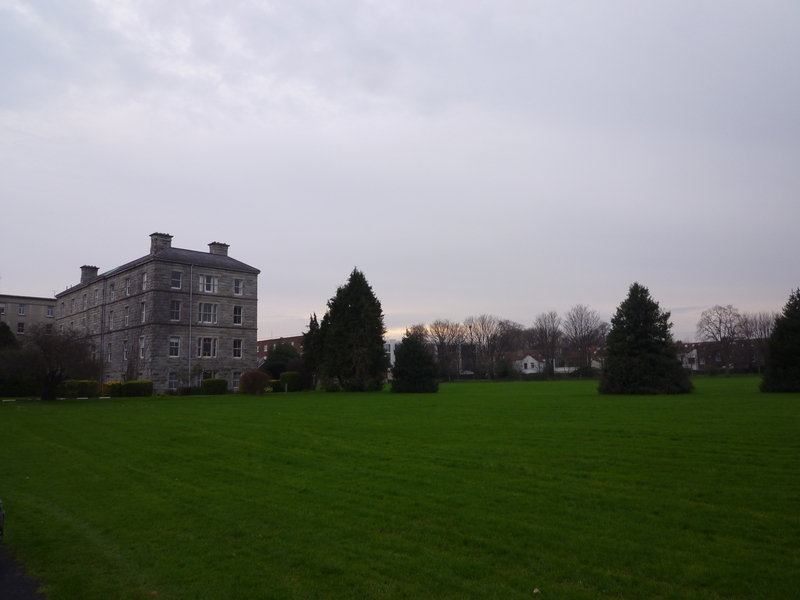 “Frank Brennan will conduct a tour through Phoenix Park with its numerous historical monuments and associations going back hundreds of years, travel along Dublin’s quays, Four Courts, Guinness’ brewery, Dublin Castle, the two cathedrals, Jewish area and into Ranelagh which developed as a genteel middle class suburb after the Act of Union. At Sandford Church we will be addressed by a local teacher, who is a member of the congregation, on the history of Sandford church and its connection with Carleton. 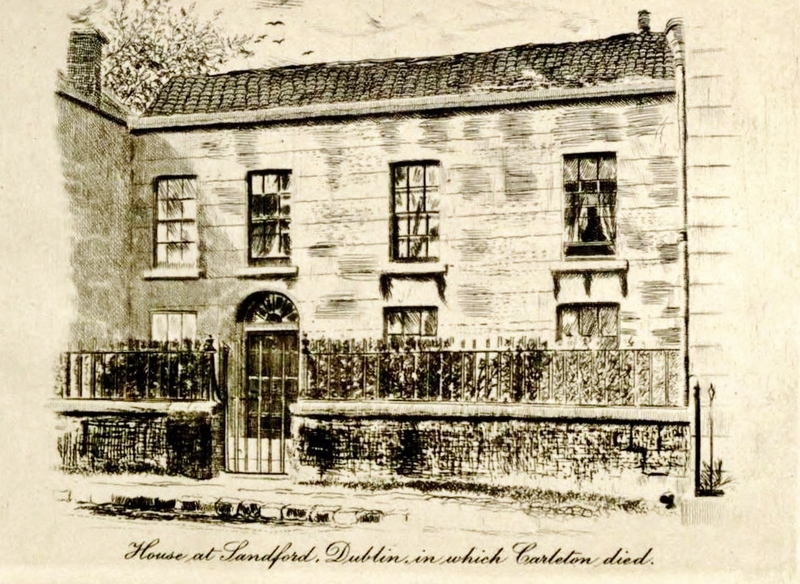 The Ranelagh Arts Society will then provide a talk by Susan Roundtree, an architectural historian, on the development of 19thC Ranelagh and the connection with the Plunkett family, who played a major role in Irish history. 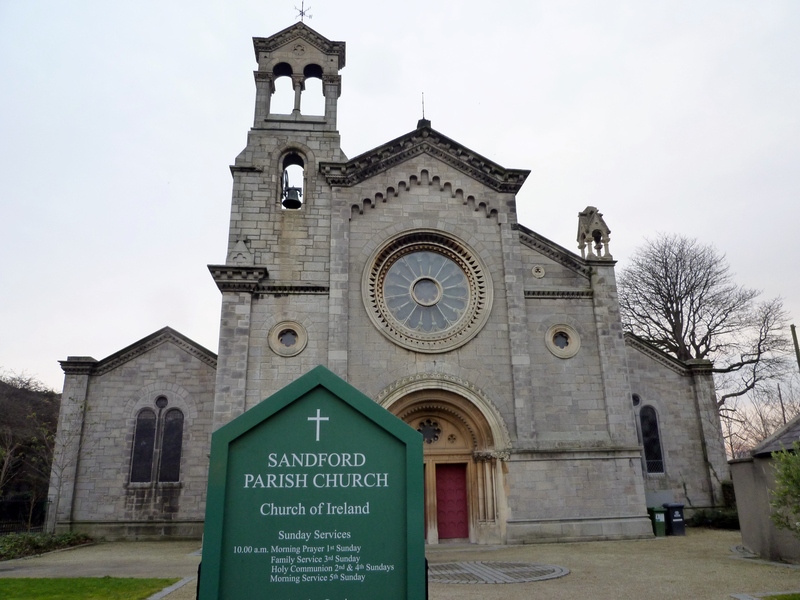 Our thanks to the Reverend Sonia Gyles, Rector of Sandford and St Philip’s Milltown, for making the church available. Admission to the talks is FREE but membership of the William Carleton Society (€5) will be available for those interested. 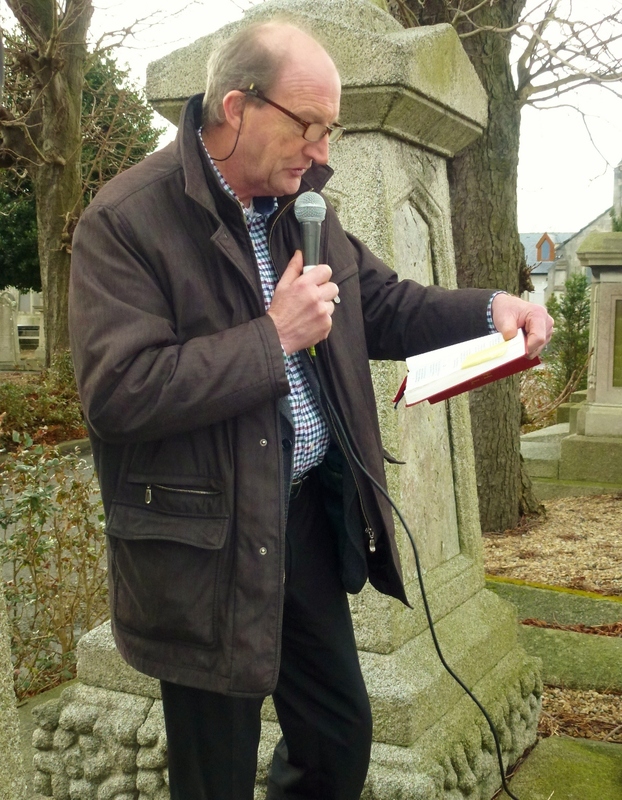 There is no charge for the tour at Mount Jerome cemetery. Participants will pay for their own lunches. It promises to a be stimulating and interesting day. The coach will return to Enniskillen by 9pm. 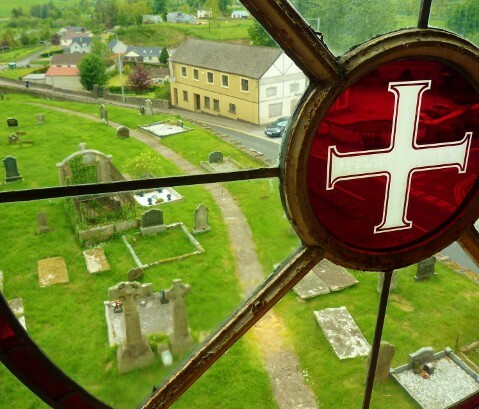 The William Carleton Society is a partner in the Shared History, Shared Future project run by Dungannon and South Tyrone Borough Council through the EU funded South West Peace III Partnership Programme and this activity is being delivered through it. The announcement by the Director of Public Prosecutions in Northern Ireland that there will be no prosecution in the case of the killing of NUJ member and former Belfast Branch Secretary Martin O’Hagan is extremely disappointing and has been criticised by the union. I can understand the reaction of his family. His brother Fintan, quoted by BBC NI, said there was a witness who wanted to tell a court who killed Martin, yet the Public Prosecution Service was depriving that witness the opportunity of telling the court his account and further depriving the court of the opportunity to consider the truthfulness or otherwise of that evidence and depriving the family, and indeed the public, of the opportunity to see justice in action. “Justice needs not just to be done, it needs to be seen to be done”, he added. He was responding to the statement by DPP Barra McGrory that after very careful consideration of all the available evidence, including that of an assisting offender, Neil Hyde, a decision had been taken not to prosecute in the murder case. This was owing to the absence of any corroboration of the evidence. When Hyde was jailed in February 2012 for three years, the judge told him that if he had not agreed to identify the alleged culprits in Mr O’Hagan’s murder and give evidence about the activities of the outlawed LVF, he would have been jailed for 18 years. 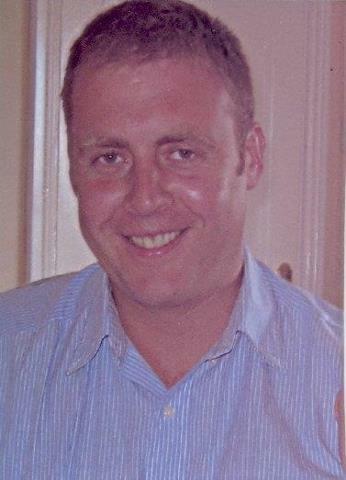 Mr O’Hagan, a Sunday World journalist, was shot dead as he was walking home with his wife in Lurgan in 2001. Sunday World Northern Editor Jim McDowell said he was angry and annoyed at Friday’s announcement. “Myself and the staff have worked hard since that black Friday in September 2001 to try to get justice for Martin O’Hagan. It now seems, that old adage, while there there may be law in this country, where is the justice?” He said the decision would not diminish in any way the paper’s resolve to continue to try to get justice for Martin. The National Union of Journalists (NUJ) has expressed grave disappointment at the announcement by the Director of Public Prosecutions in Northern Ireland that a decision has been taken not to prosecute in the Martin O’Hagan murder case. Irish Secretary Seamus Dooley said the union was disturbed by the announcement. “This union does not accept that the State can walk away from this case. The murder of Martin O’Hagan was an outrageous act of violence which cannot go unpunished. We will continue to campaign for a full investigation leading to the conviction of those responsible for the murder of our friend and colleague“, he said.